I’m excited invite you to join me and other members of YACC for a morning of self-care. Our physical bodies do a miraculous job healing from surgery, closing up large and small openings so that we can continue on with our lives. Still, after our tissue pulls together, there is almost always new pain, discomfort, or numbness in the area or even places that seem unrelated. On top of that, the visible evidence of surgery may be upsetting or feel too public. Increase hydration, metabolism, and resilience where your scar once limited these abilities. Discover why our touch matters to scars – get the (mind-blowingly beautiful) basics on the anatomy and physiology of scars. Approach touch with care and intention – making space for fear, sorrow, and feelings of loss that often come along with surgical scars. Learn and practice scar tissue release techniques on yourself. Take home a plan, so that your self-care is specific to you, pleasurable, and accessible. 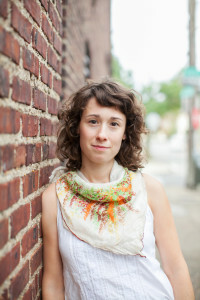 Julia is a bodyworker and educator. She has been a licensed and certified massage therapist since 2008, taught anatomy and physiology at massage school, and founded Threshold Wellness in 2013. She works with people who are interested in expanding their relationship to the body for big healing, breakthroughs, and enjoyment. Her deep listening, both with her ears and hands, allow those she works with to get clear on what they need at a gut level, and get to a place that feels better. She offers self-massage workshops, individual bodywork programs, and space for healing professionals to practice in community.